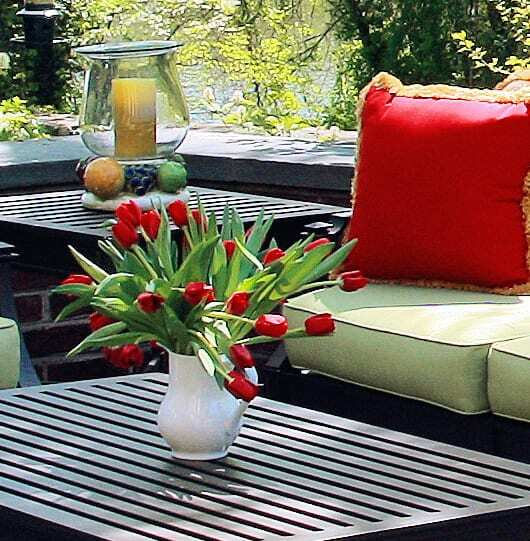 There are three things that can really sell a house: its kitchens, its bathrooms, and its outdoor living spaces. For the vast majority of people, those places are the ones that provide the most in terms of quality of life and convenience - both of which are vital to have in a home. Whether you plan to eventually sell your home and move on to greener pastures or are quite content to spend the foreseeable future right here in Bethesda, Maryland, we can create a beautiful yard that you’ll want to spend all your spare time enjoying. Our designers, architects, and craftsmen treat every space we create like an individual work of art because that’s essentially what it is. Aside from the physical differences in the layout of each property, every homeowner has different tastes, a preferred lifestyle, and individual dreams. It’s our goal to help you realize your ideas and lift your yard to its fullest potential. Our process is entirely centered around you and your needs, and we will make you an equal partner in bringing your dream yard to life. Softscaping simply refers to any organic, living thing that is used in landscaping. This includes trees, grass, shrubs, flower beds, and more. These elements can make or break your landscaping, but when done tastefully, can add a new level of depth and enjoyment to your outdoor living spaces. Our expert designers will help you decide which plants and trees to include in your yard. They will help you find the ones that match your preferred aesthetic and will complement the rest of your landscaping. In contrast to softscaping, hardscaping includes all of the man-made elements of your landscaping. Driveways, walkways, fences, decks, pools, and patios are all things that fall into this category. These elements can be blended with your softscaping to create an overall look that matches your style and augments the positive aspects of your home and yard. Additionally, they can also be used to create true outdoor living spaces that you can relax on, entertain with, and enjoy in all seasons. Ideally, a deck or patio should act as an extension of your home, where you can eat dinner with the family, enjoy a good book, or let your guests spill over onto during parties. We specialize in merging your home and yard into one cohesive whole, whether that’s through work on your home’s exterior, remodeling your backyard, or both. ‘Xeriscaping’ is something of a buzzword in the remodeling and landscaping industry these days. In the past, critics of xeriscaping have argued that the landscapes created in this style are not aesthetically pleasing, and can even look unkempt. We say that those critics have never seen a xeriscape designed by our team. Our designers and craftsmen have studied the Bethesda area’s native plants, as well as others that can be easily integrated into your gardens. Forget keeping up with the Joneses; we can create a xeriscape that will turn them green with envy - especially when they realize how much time and money you save because of it! How Do We Differ From Other Remodeling Companies? It’s true that there are many home remodeling companies in Bethesda and the surrounding areas to choose from. However, you would be hard-pressed to find a company that provides the quality of experience and stunning results that we do. At InSite, we are a full-service company, meaning that we will handle all aspects of your project from design to the final cleanup at the end. You’ll get to work with the same trusted team throughout the remodel, and will only have to worry about one point of billing. Finally, all the important details of your project will be kept together, and nothing will get lost in transition between contractors. To us, you’re much more than another remodel to check off our list. We care about you and your home and want to earn your trust to the point where we’re the first ones you call when you need a project done. We would love to be the company you recommend to family and friends when they’re looking for home remodelers! In the process of turning your house into the home of your dreams, we hope to earn your continuing business as a Client For Life.